Have you heard about the LinkedIn video feature? Do you want to find more about the LinkedIn video? How can the growth of the business exist through LinkedIn video? The giant business profile social media LinkedIn is adding the most exiting feature video. It is the most seeking feature that each user of LinkedIn is awaiting to get. The complete guide to making use of LinkedIn video has been specified here. 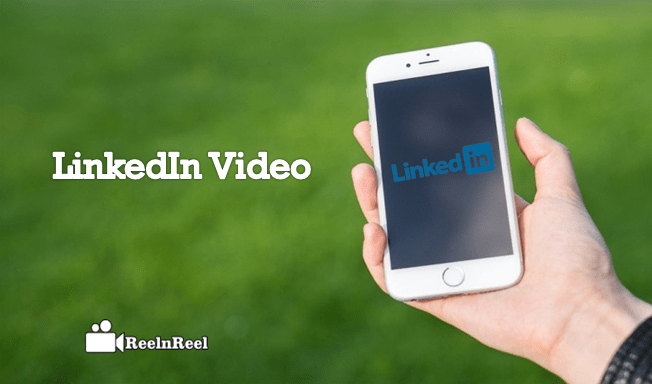 Why to use LinkedIn video? The users of the LinkedIn can make use of video as to elaborate their business presence in the social media. Through the mobile itself, the users can upload the videos to LinkedIn. With the help of a LinkedIn in-app camera, the videos can be captured or can be uploaded directly from the library. These videos will be displayed on the feed of the LinkedIn. The advertisers or marketers might have an idea of the impact of video on social media to enhance their businesses. The product demonstration and behind the scenes are playing in the LinkedIn video feature. By approaching the concerned business through the LinkedIn, the video will help to retrieve the relevant strategies to hype the brands. The length of the videos is 10 minutes long. The suggested time is 90 seconds as the viewers will not withstand at the videos to watch longer time. The auto-play feature is another add-on for the LinkedIn video. The auto-play videos will play with sounds off and if the user intended to play it with sounds can turn on the sound. Without the use of sound, the videos should play well on the LinkedIn platform and also add captions. Click the ‘video icon’ to the right of the status update box. Upload the video from your camera gallery or capture the live event directly from the mobile itself. Else the LinkedIn camera app can be used to record the ongoing event and can be saved in mobile camera gallery of the user. Now add the text description to the recorded or selected video from the mobile before sharing in the LinkedIn profile. Then the uploaded video will be played in the news feed of the LinkedIn automatically with no sounds. As the user scrolls down the page, then the videos will be played. LinkedIn introduced a new feature of LinkedIn video to share their daily work experience, start a conversation on topics with friends. It has given the opportunity to share more than 20 times any other type of content on LinkedIn. People are using LinkedIn video to capture their professional experience and share on LinkedIn to give some ideas about their technology. Here we have provided some creative ideas to use LinkedIn Video. Some people posted their videos on LinkedIn they have given a new way of recruiting the employees. Some videos explained a new technique to interview the person for hiring. Shot the behind the video content and scenes to take all the users of LinkedIn in taking part in your video. A construction worker post time-lapse video footage of building an Overpass. If you are preparing to give a presentation in a company, just capture a preview video or a rehearsal video to get compliments or feedback from your LinkedIn community. You can share a conference preview video in advance what you are going to present at the event. Share your work experience in your work environment, which type of struggles and obstacles you overcome to reach this position. Just share your personal stories and self-experiences as in the LinkedIn video. Show that you are working on some circumstance and show that you are working on which project. Give guideline about your work and suggest some friends join in your Company. Create a video starting from 3 seconds to 3 minutes. As LinkedIn wholly based on Professional Community, don’t waste the time of people who that your video. Choose the time depending on the type of content you upload. Use the LinkedIn mobile app to record the video. If you are in the noisy area, please use external microphones or use Headphones to explain. The LinkedIn video does not support any Captions and sound effects. Here are some typical approaches using LinkedIn video for Social selling and Lead generation. See How people are using LinkedIn video for Business Branding. The primary advantage of joining in the LinkedIn groups, expand your reach through targeted niche of an audience. Some LinkedIn group are active makes joining these groups worthwhile. Participating in the LinkedIn video groups increases your range targeting the people in a large community. People who met at conferences, seminars, and events have a connection to online. So joining on LinkedIn groups get connected with them and maintain a healthy relationship that can lead to sales on offline and online networking. An excellent way to connect with the right community on LinkedIn is the video approach. Maintaining a large number of the professional following is a good thing. Letting them know about your product or services in a right way can lead conversion. If you are in Linked with right product explanation people in the community will respond positively. One of the best feature and advantage of LinkedIn can draft and publish the long form content on the LinkedIn platform with the help of LinkedIn publishers. Your article is live on your LinkedIn profiles, and you will get likes, comments, and shares to your article on Linkedin publishers. It gives you wider audience compared to other social networking sites. Make sure that you know all your targeted audience and stay consistent with your content sales and marketing efforts. You should maintain a positive image of yourself by adding a personal touch to your marketing strategy. Use LinkedIn videos to reach more audience with authentic content. Customer Referrals are most effective in building a network. In other terms, we call it as word of mouth. Create a perfect video of your product to show your connections why you are worthy of recommending to third parties. So people in the community will go for personal watch behind the scenes. The new feature of LinkedIn video will be the essential aspect for the advertisers and marketers to expose their brands through the medium of video in an effective way. The products or services can be demonstrated to the audiences visually.